Click the button below to add the Psoriasis Soften Cream #Psoriasis Cream# to your wish list. You’ve probably already tried every chemical type product on the market without lasting success. Instead, try our Soften Cream, made with ultra-rich ingredients that provide immense benefits to those with skin conditions that cause cracked, peeling skin. Made with some of nature’s wonders, Sea Buckthorn, Licorice, Pumpkin Seed, Foraha, Oregano, and Aloe Vera will absorb and envelop skin to help soften and calm itching, scaling, flaking, and redness. Our Soften Cream contributes to improving the appearance of your skin, absorbing rapidly into the skin and leaving it softer to the touch. Non-greasy and absorbs quickly into skin to begin working. Aloe Vera moisturizes and soothes skin to leave it smooth and supple. Sea Buckthorn Oil minimizes inflammation of the skin. 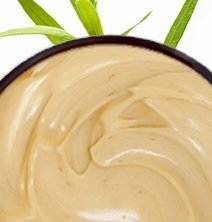 Ucuuba Butter has anti-inflammatory and antiseptic properties and is ideal for dry, irritated skin. 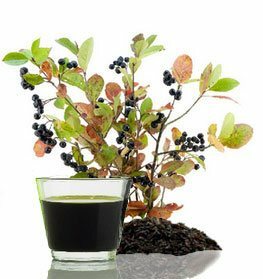 Black Currant Seed Oil replenishes and softens skin and has anti-inflammatory, antibacterial and antioxidant properties. Oregano and Andiroba Oils are vitamin-rich and have antibacterial properties. Licorice and Sarsaparilla herbal extracts calm and soften dry, itchy, callused skin. • Use on the skin in the morning and evening. • We also suggest using our Soften Vinegar Body Rinse Cleanser. Aloe Barbadensis (Aloe Vera Hydrosol), Hippophae Rhamnoides (Sea Buckthorn) Oil, Virola Surinamensis (Ucuuba Butter), Azadirachta Indica (Neem) Oil, Ribes Nigrum (Black Currant Seed) Oil, Vitis Vinifera (Grapeseed) Extract, Persea Americana (Avocado) Oil, Carapa Guianensis (Andiroba) Oil, Calophyllum Inophyllum (Foraha) Oil, Pongamia Glabra (Karanja) Seed Oil, Cucurbita (Pumpkin Seed) Oil, Simmondsia Chinensis (Jojoba) Oil, Vitellaria Paradoxa (Shea Butter), Squalane (Olive) Oil, Mahonia Aquifolium (Grape Barberry) Extract, Arctium Lappa (Burdock) Extract, Theobroma Cacao (Cocoa Butter), Melaleuca Alternifolia (Tea Tree) Oil, Sodium Lauroyl Lactylate, Camellia Sinensis (Green Tea) Extract, Behentrimonium Methosulfate, Cetyl Alcohol, Lavandula Angustifolia (Lavender) Oil, Panthenol (Vitamin B5), Allantoin, Origanum Vulgare (Oregano) Oil, Rosemarinus Officinalis (Camphorwood) Oil, Hemidesmus Indicus (Sarsaparilla) Extract, Echinacea Purpurea (Echinacea) Extract, Glyceryl Caprylate, Glycyrrhiza Glabra (Licorice) Extract, Caprylyl Glycol, Glycerin, Tocopherol (Vitamin E). This was recommended by a friend and I absolutely LOVE it. I have psoriasis and excessively dry, sensitive skin. Doesn't contain any irritating chemicals or fragrances. This cream is awesome. I was searching for a non-steroidal treatment for my psoriasis and I found it. After about a week of using the cream 2-3 times a day, my psoriasis scales are gone and the redness has been greatly reduced. I am back to order more! Great !!!!!! abosbs quick, and smooths easily. my son has psoriasis and this is the only lotion that we see any effect from. love it! I have persistent, acute psoriasis, received phenomenal relief after using this product consistently for 3 weeks. At first I saw no difference. After a couple of weeks, I noticed that a huge patch of psoriasis on my arm had almost completely disappeared. Highly recommend. My son has the type of psoriasis that burns just before erupting. This cream relieves the burning sensation. I am thrilled that I have found this nutritive product. I have had terrible psoriasis my entire life and NOTHING helps. I buy cortizone weekly and I have tried lotions soaps creams prescriptions etc. I decided to give this a try with nothing to lose but more money. It started working the first day!!! At first I thought maybe it was my imagination but sure enough after one week a huge patch of psoriasis on my hand is almost completely gone!!! I have been using the psoriasis cream, shampoo and scalp formula for a few weeks and LOVE the products. They have gotten rid of all of my scaly and itchy spots on my face and scalp. This product keeps the area of psoriasis soft along with other areas of that is rough and even keeps scared tissue soft. Within 4-5 days of applying this directly to my seriously inflamed elbows, I barely have any bumps, itchiness or redness. I'm shocked and thrilled! for the past 3 years i have struggled to find a safe effective remedy for my psoriasis. this cream saved my life! as soon as i started using this cream the itching and burning stopped and within 2 weeks the horrible patches on my face, neck, and arms completely cleared up! i have been using this cream for about 3 months now and i still love it and already repurchased. I've had psoriasis my entire life and have been prescribed every possible medication to try and clear it up. This product is the only thing that has worked! I stopped it from spreading and has practically cleared up my psoriasis completely! I highly recommend this product! My doctor examined me and told me I had PSORIASIS, and that I would have it for the rest of my life. The doctor prescribed a topical treatment that would have cost me $90.00 for less than a one month supply. I could not afford and would not pay for a cream that provided no cure for my condition. I searched the internet and found your company and products. I ordered the PSORIASIS cream 1 or 2, maybe 3 times, I don't remember now. I am not suffering with PSORIASIS and that was almost 2 years ago. I used the cream faithfully day and night. It ruined my underwear, but it was well worth it. No more itching and scratching. Thank you so much. I apologize for not writing this review sooner. BTW, the doctor did not examine me, and simply took my word for it. I guess the doctor was to embarrassed and did not want to have to acknowledge the mistake in telling me I would suffer with PSORIASIS for the rest of my life. It works great on my psoriasis. No more flooring to the Drs for steroids every winter month for steroids. My psoriasis is around my eyes, the cream burns a little otherwise 5 stars. This cream would have received five stars if it wasn’t for the smell. It isnanything but a fresh fragrance. Liked the first jar so much I ordered 2 more. The cream works wonders for softening the skin and has cleared the psoriasis plaques back to soft skin. I use it twice daily and while not a cure, it certainly helps better than the many other brands I have tried including steroid and smelly coal tar creams. This is for my husbands psoriasis experience! He stopped using all his steroidal creams and completely switched to this cream once a day after his shower. He has not had to use any Rx steroidal creams ever since! One he had was painful and no longer does he experience pain! The price is great for how much cream you get, and we will be trying other products now too. What an amazing clean way to clear up psoriasis! This product has really improved my skin. For me this product was very expensive. The product works quickly and leaves your skin softer and not irriated. If they could fix the smell this would easily be a 5 out of 5.